Gooding will sell a 2015 McLaren P1 at the Amelia Island 2017 classic car auction to benefit the Rose-Hulman Institute of Technology. Gooding & Company announced that a 2015 McLaren P1 wil be sold at the Amelia Island Auction in March 2017 to benefit a professorship at the Rose-Hulman Institute of Technology in Indiana. The McLaren P1 (estimate $2,000,000-$2,300,000) will be sold without reserve. Gooding & Co will hold its traditional Amelia Island classic car auction on March 10, 2017, at Racquet Park, Omni Amelia Island Plantation, in Florida, USA. RM Sotheby’s and Bonhams will also have collector car sales during the same weekend. In 2016, Gooding had a record sale in Amelia Island earning $60 million from 79 cars on offer. The sell-through rate was 87% with an average price of $871,915 per car sold. The 2016 sale memorably included 14 Porsches from the Jerry Seinfeld Collection. 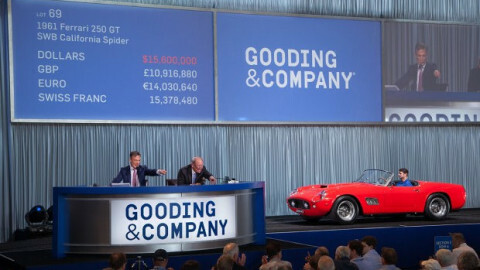 In 2016, Gooding also set a new Amelia Island auction record of $17,160,000 for a 1961 Ferrari 250 GT SWB California Spider. 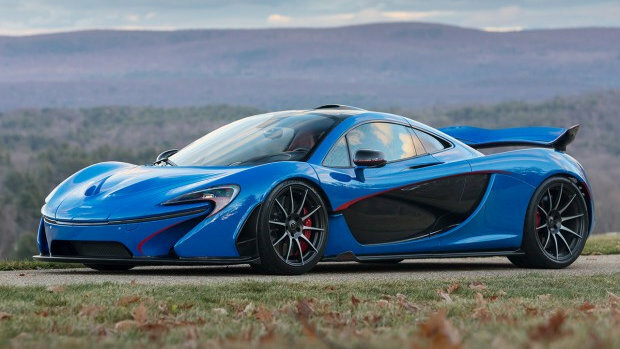 This 2015 McLaren P1, estimate $2,000,000–$2,300,000 and offered without reserve, is the only P1 delivered in a stunning cobalt metallic, aptly named Professor 2 Blue. At least five McLaren P1s were sold at public auction in the past 18 months with all five achieving around $2 million. The car has numerous bespoke specifications, which the current owner and McLaren designed together during the production phase. These specifications include the exceptionally rare Daytona-style seats (only one other P1 has this seat specification); distinctive striping and badging throughout its exterior; and interior controls and switches that mimic the exterior livery, a feature unique to this P1. This example presents a great opportunity to own a one-of-a-kind McLaren that is being sold without reserve. Founded in 1874, Rose-Hulman Institute of Technology is dedicated to preparing its students with the world’s best undergraduate science, engineering, and mathematics education in an environment infused with innovation, intellectual rigor, and individualized attention. The college, located in Terre Haute, Indiana, has an enrollment of approximately 2,175 undergraduate students and nearly 100 graduate students. A national survey of engineering department deans and senior faculty, conducted by U.S. News & World Report, has consistently ranked Rose-Hulman and its academic programs No. 1 in undergraduate engineering education. Other national distinctions: No. 1 for engineering education, by College Choice; No. 4 for value-added, by the Brookings Institution; and a Top-20 STEM College, by Forbes. Six of the college’s professors were featured in the Princeton Review’s Best 300 Professors book.